High Speed Data Transferring rate up to 480KBps. 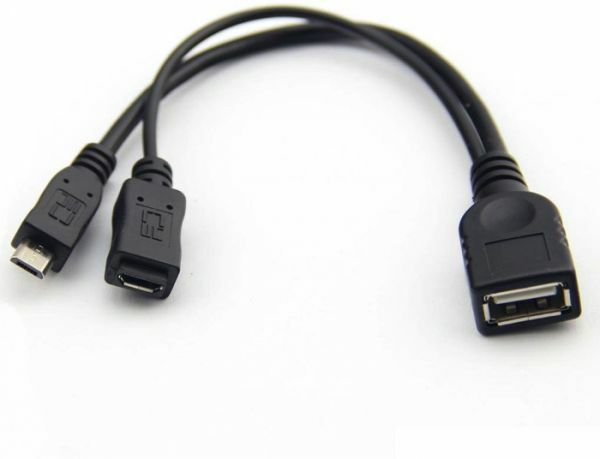 USB 2.0 Host OTG ( On-The-Go ) adapter cable allows you to connect a USB memory stick, a USB memory flash drive, a mouse or a keyboard to your LENOVO Tablet/Smart Phone. PC-free back up of videos and photos from your LENOVO Tablet/Smart Phone to an external memory stick in a convenient way. This OTG Adapter comes with power connector to connect the external USB Power Charging if the USB devices consume too much power, for example like USB Hdd etc. Connect to a keyboard or a mouse for easier control of your your LENOVO Tablet/Smart Phone.